Home / India News / Sri Lanka News / Why Mahinda refused to allow the Human Rights Commission? Why Mahinda refused to allow the Human Rights Commission? In May 2009, thousands of Tamils ​​were killed in various places including Jaffna and Mullivaikal. The President of Sri Lanka was Mahinda Rajapaksa. The brutal war that took place in Sri Lanka was made public by the Government of India's armed support and support and the support of the then Tamil state government in the federal government. None of the Tamils ​​could have forgotten that war. The United Nations Human Rights Commission passed a resolution condemning the atrocities committed by Sri Lankan Tamils ​​and human rights violations during the war. Rajapakse will be proud of the complete elimination of the Liberation Tigers of Tamil Eelam for nearly 30 years. Remember, the United Progressive Alliance was ruled by Manmohan Singh during India's final war in Sri Lanka. Sri Lankan President Rajapaksa's last few days before such a war has been conducted, BJP senior leader Subramanian Swamy told reporters here. He came to Delhi to participate in the event organized by 'Virat Hindustan Sangam'. 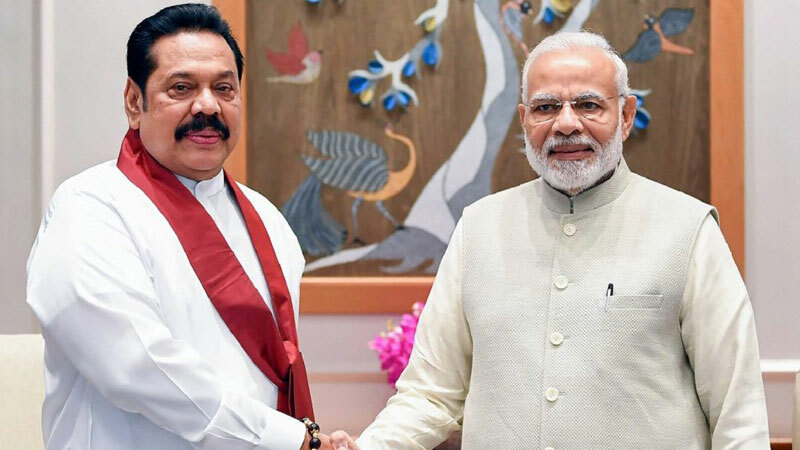 Rajapaksa also met Prime Minister Narendra Modi and former Prime Minister Manmohan Singh and Congress leader Rahul Gandhi. Former Foreign Minister GL Peiris, MP and Rajapaksa's son Namal Rajapaksa also accompanied him. Speaking at the event, Rajapakse was entitled 'India-Sri Lanka Relations'. Rajapakse referred to Sri Lanka's final war, saying that "friendly relations with India" and that "foreign policy of the two countries is a strong pillar." "The concerns expressed by India during the final stages of the war in Sri Lanka are very sensitive," he said, adding that "continued consultation with the Government of India and other neighbors." He also recalled that the committee was set up with senior officials from Sri Lanka and neighboring countries. Rajapaksa said that the then National Security Advisor MK Narayanan, former Secretary of State for External Affairs Sivasankar Menon and then Secretary Defense Secretary Vijay Singh were present on the panel. He also pointed out that the authorities had been regularly consulted about India-Sri Lanka relations. He said, "A procedure must be created, as it did during the war to solve the economic and social problems between the two countries." Rajapakse said that the final war in Sri Lanka was not against Tamils ​​and that military action was not taken against innocent people. After the disappearance of the Liberation Tigers of Tamil Eelam (LTTE), it is not an anti-racial attack and the Sri Lankan government did not carry out a military offensive against Tamils. Furthermore, during the last phase of the war, no war crimes happened, Rajapakse said in his address. In this regard, the World Tamil Tiger leader is Fruit. Nedumaran mentioned his opinion as follows. "The United Nations Human Rights Commission has accused the UN Human Rights Commission of conducting war crimes and human rights violations in Sri Lanka in 2009. The UN Human Rights Commissioner Navinathampillai went straight to Sri Lanka and looked at the situation , He said That affirmed elsewhere. 'Public investigation should be conducted. Blatant human rights violations and war crimes have been committed. The same Rajapakse has said that he can not allow the UN Human Rights Commission to investigate when he said that he should inquire about this. Now how do you say 'war crime is not'? UN The Human Rights Commission is not an individual. The United States has adopted and resolved with the support of majority countries. If you say it does not happen, why not refuse to allow the Commission of Human Rights Commission? If war crime does not happen, it should be said that the investigations are generous. Moreover, when the British Commonwealth Prime Minister's Conference was held in Colombo, the British Prime Minister went there. When he went directly to Jaffna, thousands of mothers gathered and found their husband; They filed photographs saying that they could find sons. "Those who have been arrested are refusing to say what happened," they said. He condemned Rajapaksa after the British Prime Minister returned to Colombo.